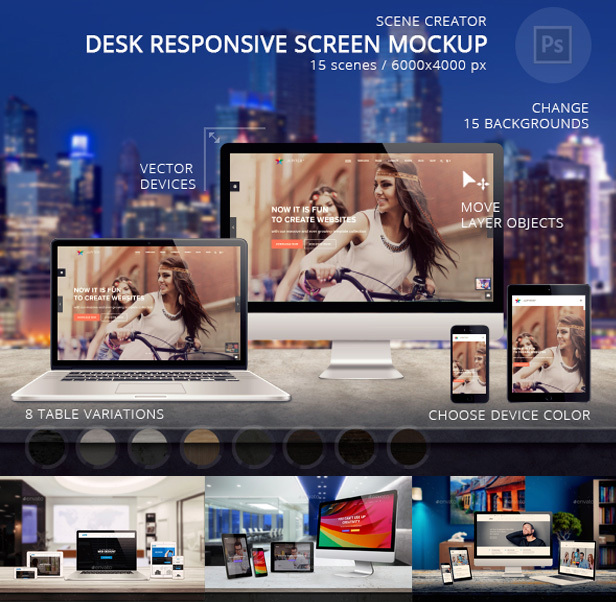 Responsive Mockup Scene Creator is intended for the promotion of responsive web pages. This Photoshop file contains more than eighty isolated objects for scene creation! Responsive web design provide an optimal viewing and interaction experience on different devices. This means that the web site itself adapts to the size of the display, which is vital to introduce users. That’s why we created the file, which brings together devices with different display sizes, how to make your website the best and easiest way to present customers. To all this we add an environment work room or office, desk whose size can be adjusted, eight different textures of wall and a lot of interesting items. 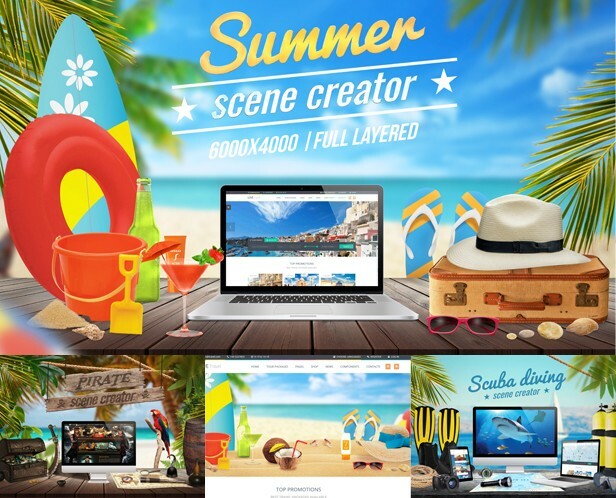 All this can help to create a great scene and present your design in the best possible way for a few minutes. If you are a beginner short tutorial help you to add your image on display device. Easy click two times on smart object thumbnail (see readme), paste your image, click save, close window, and image will be displayed on device! 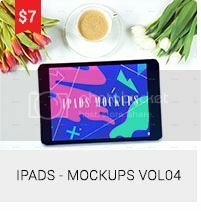 7 different vector (Photoshop shape) devices with 23 position. Devices devices are positioned central, left and right curved. Smart phone and tablet have plus one horizontal position. You can increase size of devices, without losing sharpness. Lot of items: keyboard, mouse, speakers, camera, headphones, glasses, pens, plant, coffee, lamps, book… you can move around on scene and make it more beautiful. 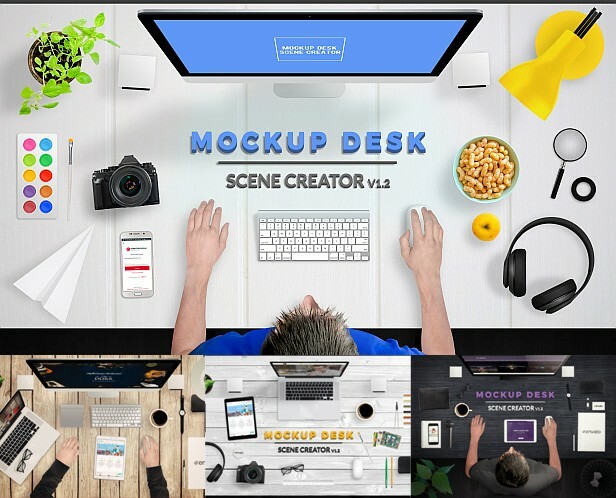 Scene Creator has 3 different table (3 legs style), 8 wall textures. Finally, when you make the desired scene, you can apply a 21 filters, vignette, ambient light, gradient.